We are now down to the final 16 teams in March Madness, the Sweet 16, and this is when the tournament starts to get really exciting. 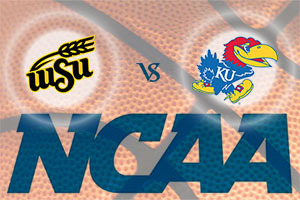 Many teams and players are delighted to simply reach the NCAA tournament but this is when it starts to get serious. This is the time when players and coaches can start to smell the Championship and while they know that all it takes is one bad night or bit of misfortune to ruin their dreams, they also know that one slice of luck in their favour can mean so much. 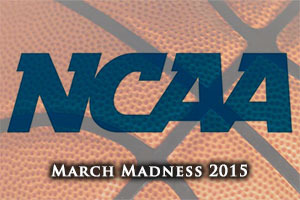 There are a few days before the next round, which gives a chance to look back on the end of the previous round and for March Madness betting fans to review their predictions and to determine what they think is going to happen this campaign. The number 5 seed managed to make their way past the number 4 seeds ion this game, grabbing their first spot in the Sweet 16 since 2010. The key man for West Virginia was Devin Williams, who picked up a double-double for his efforts in this game. He grabbed 16 points and 10 rebounds while also offering up 2 assists, being a big player in the win. This was a straightforward win for the number 7 seeds who got beyond the number 2 seeds without too much fuss or effort. Fred VanVleet was once again in great form at the front and back end of the court. VanVleet offered up 17 points, 6 assists, 6 rebounds and 4 steals and he ensured that Kansas never got a moment’s peace during the game. Louisville reached the Sweet 16 stage for the fourth season in a row and the number 4 seeds were pretty comfortable against the number 5 seeds. Terry Rozier grabbed 25 points in the game and he also offered up 5 rebounds and 7 assists which means that he can be very proud and happy with his performance over the course of this game. The number three seeds found their form ensuring that things went to plan, with Oklahoma dismissing the number 11 seeds Dayton. Jordan Woodward was in excellent form with free throws, offering up a total of 16 points for the team as well as providing three assists and four steals, which was a game high. 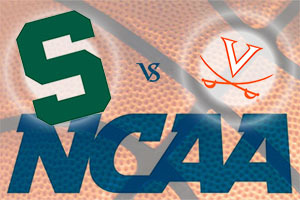 The number 2 seeds crashed out as the number 7 seed Michigan State showed strength as they made the Sweet 16 for the fourth campaign in a row. This was the second season in a row that they had defeated the Virginia Cavaliers during March Madness. Travis Trice grabbed 23 points while he also offered up three assists, two rebounds and a steal in a strong overall performance.